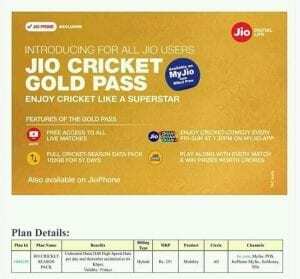 Jio Cricket Plan: n this session of IPLs Jio is Offering 2GB Daily data to watch IPL at Just Rs.251 only. 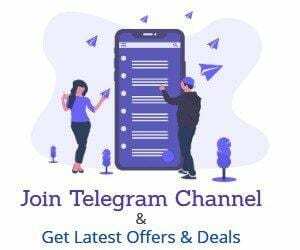 You can get Extra Rs.30 Cashback on Jio Recharge From Freecharge & more Cashback Offers From Phonepe.this is a Good Plan if You wish to Watch IPL online. I will recommend using this offer.This offer is available for all jio users. 1.Visit Any Recharge Site like Paytm, Freecharge, Phonepe etc. 2.Enter Your Jio number & proceed to Recharge. 3.Select Amount Rs.251 & Proceed to pay, Check if there exist any Coupon and Apply it. 4.Now Pay the Amount & plan will Activate on your Number. 5.The Plan is super Cheap than others I will recommend using this offer.